How to make avatar size bigger in topic page? 4 years 5 months ago	#94 by Eugene S.
Kunena template does not afford using such params in back-end by default, but I'll tell you about the trick. Once you're done, two new params will be available in template back-end settings: profile avatar's width and height. You must fill these values without px prefix, I mean if you need 300px just input 300 without px. Attachment seems gone, could you add text - what should be replaced for avatar size? 3 years 6 months ago	#160 by Eugene S.
Here is the permalink on accepted answer. Hope it'll help. If no, please write me back. I did try to apply this change. But still don't see two new parameters in the template back-end settings. 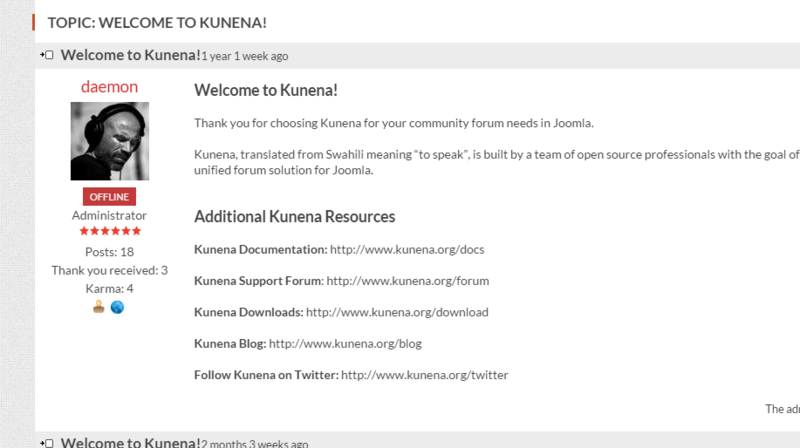 I assume it should be forum template (Kunena Forum: Template Manager -> Template: Rnd_korder -> Basic settings)? I also tried explicitly change avatar size in posts to 100px, but it has no effect.